"We covered a wide range of issues, and it was very helpful, very productive and very important," Sen. Susan Collins said of her meeting with Supreme Court nominee Brett Kavanaugh on Tuesday. 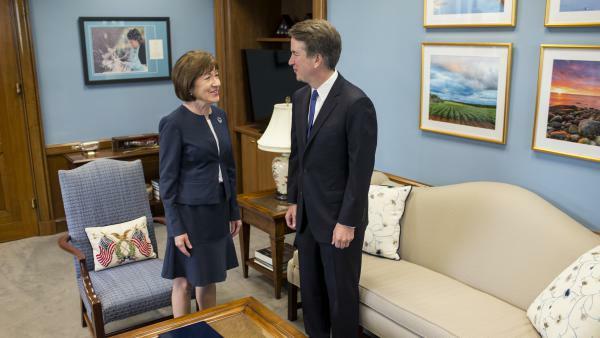 Collins supports abortion rights and made sure to point out she viewed the 1973 decision as "settled law" in her initial reaction to the news that abortion rights swing vote Anthony Kennedy was retiring from the Supreme Court. "We talked about whether he considered Roe to be settled law," Collins told reporters after the meeting. "He said that he agreed with what Justice Roberts said at his nomination hearing, at which he said that it was settled law." Democrats quickly questioned the value of Kavanaugh's statement, especially given President Trump's repeated promise during the 2016 presidential campaign to appoint nominees who would "automatically" overturn Roe. "Let's be clear: This is not as simple as Judge Kavanaugh saying that Roe is settled law," said Minority Leader Chuck Schumer. "Everything the Supreme Court decides is settled law until it unsettles it. Saying a case is settled law is not the same thing as saying a case was correctly decided." But with nearly all Democrats likely to vote no, Kavanaugh's key audience isn't Schumer — it's moderates like Collins and Alaska Republican Sen. Lisa Murkowski. Murkowski also supports abortion rights, and with Republicans holding a slim 51-49 Senate majority and Arizona Sen. John McCain on extended leave as he is treated for brain cancer, Kavanaugh very likely needs both Collins' and Murkowski's votes to be confirmed. After her more than two hour discussion with the nominee, Collins sounded as though she is almost there. "We covered a wide range of issues, and it was very helpful, very productive and very important," Collins said. Still, the Republican said she won't make a final decision until after next month's confirmation hearings. Kavanaugh also met with five Democrats Tuesday, including Schumer and longtime Senate Judiciary Committee member Patrick Leahy of Vermont. Republican Senator Susan Collins of Maine is a key swing vote in the confirmation of Supreme Court nominee Brett Kavanaugh. She says Kavanaugh told her today he views the landmark abortion-rights ruling Roe v. Wade as settled law. As NPR congressional correspondent Scott Detrow reports, Kavanaugh made the statement during the most important meeting he had during today's blitz of meetings on Capitol Hill. SCOTT DETROW, BYLINE: Kavanaugh met with six senators today. None of those meetings lasted as long as the more than two hours he spent with Collins. SUSAN COLLINS: We talked about whether he considered Roe to be settled law. He said that he agreed with what Justice Roberts said at his nomination hearing, in which he said that it was settled law. DETROW: That's a big deal for the Maine senator, a moderate Republican who supports abortion rights and supported Roberts back in 2005. But what exactly does settled law mean? Minority leader Chuck Schumer and other Democrats argue not too much, especially since President Trump promised to appoint someone who would overturn the landmark ruling that legalized abortion. CHUCK SCHUMER: Let's be clear. This is not as simple as Judge Kavanaugh saying that Roe is settled law. Everything the Supreme Court decides is settled law until it unsettles it. Saying a case is settled law is not the same thing as saying a case was correctly decided. DETROW: But with nearly all Democrats likely to vote no, Cavanaugh's key audience isn't Schumer. It's moderates like Collins and Alaska Republican Lisa Murkowski. They both support abortion rights. And with Republicans holding a slim majority, he needs their votes to be confirmed. Collins sounds like she's almost there. COLLINS: We covered a wide range of issues. And it was very helpful, very productive and very informative. DETROW: Still, Collins says she won't commit on whether or not to vote for Kavanaugh until after next month's confirmation hearings. Scott Detrow, NPR News, the Capitol. 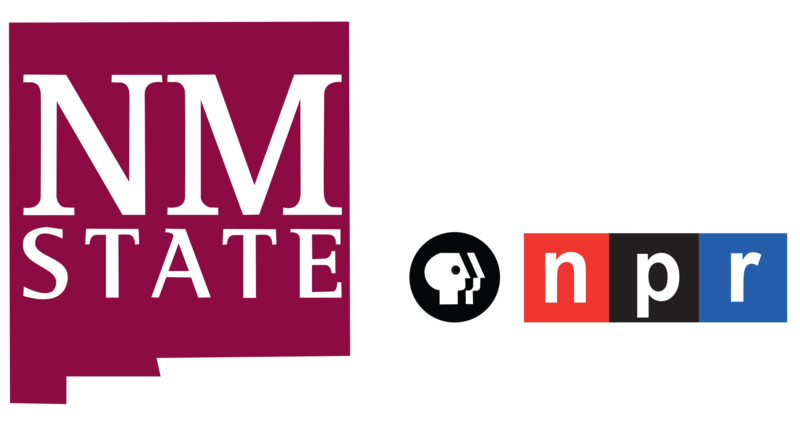 Transcript provided by NPR, Copyright NPR.